With ballots making their way to voters, the Keizertimes took a look at some of the major issues and the local candidates in contested races. We are not endorsing any of these measures or candidates in this article, merely presenting a look at the issues and potential effects. A “yes” vote would increase Oregon’s corporate minimum tax when sales exceed $25 million, removes tax limits and increase revenues available for education, healthcare and senior services. A “no” vote retains existing tax minimums, including a cap of $100,000. The measure would generate approximately $3 billion per year for every fiscal year beginning July 1, 2017. Opponents say some of the costs would be passed on to Oregon consumers in the form of higher prices on some consumer goods. Supporters claim that the measure is a way to ensure large businesses pay their fair share. While the measure earmarks revenues for three aforementioned areas, attorneys for the state Legislature have said that those could be altered with budget bill amendments that do not require a public vote. A “yes” vote would require the state to fund drop-out prevention and career- and college-readiness programs. A “no” vote maintains the status quo. Essentially, the measure would require the state Legislature to provide $800 per student to establish or expand high school programs providing career-technical education, college-level courses, and dropout-prevention strategies. School districts would apply for grants based on need and the Oregon Department of Education would monitor outcomes. The measure would require an additional $147 million annually to be committed to the resulting programs, but does not generate additional income – leaving it to the Legislature to determine future funding. A “yes” vote would dedicate 1.5 percent of state lottery proceeds to veterans services including employment assistance, education and housing and physical/mental health care. A “no” vote would not earmark the revenues for these purposes. Currently, about 67 percent of state lottery funds are undedicated, this measure would earmark revenues for veterans services and potentially increase Oregon’s competitiveness for federal matching funds. A “yes” vote would amend the state constitution and eliminate mandatory retirement at age 75 for state judges. A “no” vote would retain the mandatory retirement age. A “yes” vote would allow public universities to invest in equities, stock or securities representing ownership interest. A “no” vote prevents the institutions from investing in equities. The Oregon Legislature already approved such investments in 2013, but a provision in the Oregon Constitution may prohibit it. A “yes” vote creates a dedicated fund for outdoor school education fund with revenues from the Oregon State Lottery. The goal would be providing outdoor programming to every fifth – and sixth-grade student in the state. A “no” vote will keep the outdoor school programs funded as funds are available. A “yes” vote would prohibit the purchase or sale of products – with the exception of specific activities, inheritances, certain antiques and musical instruments – and imposes penalties up to $6,500 for doing so. A “no” vote would continue to allow the sale of the same items unless the species are native to Oregon. Species affected include: elephant, rhinoceros, whale, tiger, lion, leopard, cheetah, jaguar, pangolin, sea turtle, shark (expect for fins) and ray. A “yes” vote would impose a 3 percent city tax on sales of recreational marijuana within Keizer. A “no” vote rejects the tax. City officials have been reticent to offer projections on how much the tax might generate in revenue and the funds are not earmarked for specific purposes. According to mjbizdaily.com, a marijuana industry trade publication, the average annual revenue reported by dispensaries and recreational sales shops was $974 per square foot. Even with a modest estimate of 500 square foot per business, the city stands to reap about $44,000 per year on the sales of Keizer’s three operating marijuana retailers. Revenue per square foot is a measure of how efficiently a retailer uses space. A “yes” vote would allow recreational marijuana businesses to set up shop in unincorporated areas (outside city limits) of Marion County. A “no” vote would only allow such businesses inside city limits. Allowing such businesses in specific cities would remain the domain of city councils and voters. The measure was bankrolled by the Oregon Cannabis Business Council. A “yes” vote imposes a 3 percent tax on recreational sales of medical marijuana in Marion County. A “no” vote rejects the tax. Revenues from the tax are not earmarked for a particular project or service. Allen Barker and Laura Reid are seeking the same chair on the Keizer City Council. Barker is a retiree with experience in construction and financial services and is currently a volunteer on the city’s budget committee. Laura Reid has taught at McNary High School since 2001. This is her first foray into public service aside from volunteering in community-based organizations. For more information on both candidates and their positions, visit www.keizertimes.com. The district director position has earned the interest of two candidates, Stephanie Hazen and Scott Walker. Soil &Water District officials manage natural resources on the local level with an eye toward conservation and enhancement of what is available. Hazen is a retired veterinarian and business owner with no prior public service experience, but has taken an active role as a volunteer with the water district. She and her husband have undertaken the task of converting large swaths of their rural property into native habitats. Walker served as the associate director of the water district for the past 18 months. He is a retired statistician and program evaluator with the state of Michigan. His interest in the issues the water district tackles began with degrading wells in his own neighborhood and winter water storage was an emphasis during his time as a Silverton city councilor. Wiz wasn’t sure where he would spend Monday night. “I don’t know. We can only go so far pushing a cart, and there are only so many places you can go without being bothered,” he said. Wiz was one of about a dozen people who set down stakes underneath the awning at the south entrance to the old Roth’s building over the weekend. Late Monday morning officers from the Keizer Police Department visited the group and asked that they move on. The temporary camp had already sparked numerous mentions on social media sites asking what, if anything, would be done about the people there. Wiz volunteered to talk about his experiences when I approached some of the straggling camp members about what brought them to this point. Until earlier this year, Wiz lived just south of Keizer in a mobile home court where he paid around $300 a month in rent. He made his way in the world traveling to art shows and fairs in the area selling handmade leather items and carved art. He played guitar, too, claims to have opened for Deep Purple in 1966. “I was paying rent, but I wasn’t ever home. I was always traveling to shows. I decided I would rent a couple of storage spaces and use one as a workshop and the other as a gallery while I was living in my van,” he said. When his van was rear-ended by “a big diesel truck” things started to spiral rapidly, and he’s been living on the streets since. Day-to-day living, he said, revolves around three questions: how do you stay warm and dry; what do you eat; and where do you go to the bathroom? “And where do you put your stuff so it’s there when you come back if you do go to the bathroom?” he said. He’s met some on the streets who he’s felt made their way by preying on other homeless people, but he seen others tap deep veins of kindness. “The people who have the least share the most. Someone will give you their last scrap of food, or part of it,” he said. Prior to taking up the spot under the awning, some members of the group – who Wiz calls brothers – had been living around the old Alberston’s just north on River Road North. When it was announced that the building had been sold to new owners, word made its way down the ranks that the camp would have to find another spot. Wiz understands it’s necessary to a degree, and bore no umbrage to police officers who end up as the messengers. “When we were over there, the police would come by and tell us to flag them down if we needed anything,” Wiz said. Local and regional leaders assembled a homelessness task force earlier this year with plans to make recommendations for coping with Marion County’s burgeoning homeless population. Talks have spanned topics too numerous to list, but many have been targeted around specific subgroups: youth, veterans, women, domestic violence victims and many, many more. When asked what the area’s homeless residents need most, Wiz gets visibly distraught, but settles on the necessities. “There’s too many, but it’s the basics. We could use lockers to store our stuff for a few hours or a couple of days for a few dollars. There should be more public restrooms. You don’t have to be homeless to need a place to pee,” he said. Wiz remained under the awning until mid-evening. Tuesday morning, he, and his brothers, were gone. Karen Lovett, 73, passed away after a battle with lung cancer while she was surrounded by her loved ones. She was born on June 16, 1943 in Portland to Allen and Maude Berger. Karen was truly one of a kind. She was vivacious, funny and so full of life. In true Karen fashion, some of her last words made her family laugh. Karen was beloved by many and her greatest passion and joy in life was bringing her family together. She is survived by her daughters whom she loved dearly: Maria (Lovett) Eyerly, Marci (Lovett) Hill, and Kristin (Lovett) Thompson; her sons-in-law who were like her own, Charles Hill and Brian Thompson; six grandchildren who think she was the best grandma in the world: Alison (Eyerly) Stewart, Tyler Thompson, Trent Thompson, Jacob Thompson, Briley Hill and Melana Hill; her sister and best friend Kathi Rees; and Maizie, her dog who never left her side. Karen enjoyed gardening, hosting family barbecues, watching television and having lunch at McNary’s restaurant. Judith Ann Herber Peters, 73, of Keizer, passed away on October 21, 2016. Judi was born December 16, 1942 in Vancouver, Washington. She was the daughter of Joseph and Rosalie Herber. Judi is survived by her husband of 53 years, Larry, her daughter Shannon Tallman and grandchildren Shelby and Austin Tallman and Taylor and McKenna Peters. She is also survived by her brother Joseph Herber and sisters Tyrene Denlinger and Mary Mize. Herer son, Shawn Peters and daughter, Lori Kim Peters, preceded her in death. Judi enjoyed being around family and truly loved spending time with her grandchildren. She was an avid reader and treasured her visits with friends. Many people knew her by her warm smile and laugh. Memorial services were held Thursday, October 27 at Keizer Funeral Chapel, followed by a celebration of life at the Keizer Elks Lodge. Mike could sleep standing up. It wasn’t a parlor trick he’d learned to impress people, it was a survival skill. He’d spent much of his late teens and early twenties homeless and figured out that if he could find a 24-hour laundromat and leaned up against the dryers while they ran, it solved two problems: 1) he could sleep in a warm, dry place, and 2) people would simply think he was waiting for his clothes to dry and not hassle him for loitering. I thought about Mike for the first time in years as I nervously walked across the street hoping to talk with some of the members of a homeless camp that had been slowly growing for three days. I’d been watching mentions of the camp pick up throughout the weekend on a couple of social media sites and figured it was only a matter of time before the Keizer Police Department were asked to intervene. It turned out officers had talked with members of the group a few hours before I summoned up the guts to approach them. Like Mike, the man I met at the old Roth’s building, Wiz, has his own areas of expertise. He knows the warmth and security of sleeping next to a stranger on a frigid night, he knows that we could drown the predators of the world in the wells of kindness, and he knows that pride should be no barrier to starvation, which is a kind of pride all its own. Wiz teared up three times as we talked, but never over his own circumstances. His eyes pooled in response to what he’d seen in others he’d met living on the streets. A very wise man once told me that pride and shame will keep someone moving – even when they have nothing else to cling to. Once I learned this, I started seeing it everywhere, in those with presidential aspirations to the men and women living on our streets. Pride and shame are the engines that drive us to wake up and face another day, and the only differences are the circumstances we have to stare down in any given 24-hour period. The same man also told me that’s its our responsibility to heal the pride and shame of others when it is bruised or damaged – a lesson I try to hold close whenever I meet someone new. Keizer police are responding to a increased number of homeless communities springing up around the city, which means that the Roth’s camp was likely just the tip of an iceberg. That’s worrying for two reasons. First, it means that there is a larger, unseen homeless population just beneath the surface. Second, and more troubling, it might lead some to think that the “problem” has been solved because the most visible camp has dispersed. The sight of a homeless community in Keizer may be a shock to our values, but that in itself might not be such a bad thing. It’s what we choose to do about it that defines what we become. Oregon’s not unusual in terms of embracing one major U.S. political party and then the other. Take the last eighty years, late 1930s to the present day, and the reader will find that there have been eight Democrats and eight Republicans occupying the chief’s office in our capitol. It’s not like some elections for governor have not been close. And, now, if GOP candidate “Bud” Pierce, a generally moderate Republican, hadn’t stumbled badly in debate in Portland when he discussed domestic violence and sexual assault, showing lack of understanding of two societal issues and then not taking responsibility for what he said, the current race might have been much tighter. Meanwhile, as usual, with little chance to win, there are other candidates for Oregon governor through Libertarian James Foster, Independent Cliff Thomason and Constitution’s Aaron Donald Auer on the ballot. Regarding office tenure, former Governor John Kitzhaber proved to me, as expressed through concerns in earlier columns, that serving more than two terms can result in an office-holder who concludes he owns the people rather than that the people own him. For Kitzhaber it meant resigning in disgrace at the start of term-four under charges, yet unresolved, of influence peddling. He also jettisoned the public’s trust by surrendering his authority and responsibility to a fiancée. If developments go the way they’re expected to go, with Brown in the job for the next two years, it would seem high time for a Republican to take over the reigns of Oregon’s highest public office. It’s surmised that some of the job holders in top state jobs have probably been there since Goldschmidt’s administration which may explain why disturbingly often there’s a scandal among department heads. In the meantime, Brown has proven herself somewhat able to get things done by way of legislation on the minimum wage and sick leave. Questions, nevertheless, persist as to her lack of assertiveness in dealing with Democrat buddies in the Oregon Senate and House. A confession not having to do with breaking a law or committing a sin is usually easy to admit. Listening to two of them debate on October 20 concluded that Brown may be more likely to contribute the most as governor. Pierce is critical of everything while his solutions are vague, lacking in detail and prosaic. Further, he needs a speech coach to help him deliver answers as he too often talks like he’s reading from a medical encyclopedia while he speaks too fast and in monotone voice. Brown speaks clearly, using precise facts and action ideas and comes across as friendly and approachable. One could go on and on but the weight factors are in Brown’s favor; suffice it to say that, although I remain unenthused to date and await demonstrations of leadership, I’ll vote for Kate Brown. You can’t vote maybe. You can vote yes or no. If your life is guided by political campaign ads you must believe that a yes vote for Measure 97 dooms us to higher taxes, loss of jobs, and crippling burdens for some Oregon-based businesses. A no vote means a continuance of failing schools, shortage of health care, and less funding for senior services. Who would vote for either of those outcomes? As members of a responsible voting citizenry we are to make informed votes on issues. So I read the voter’s pamphlet. There were many of what seemed to be reasonable arguments in favor of this measure and more of what seemed to be reasonable arguments against this measure. The two things I took away from this are that the reasonable choice is to be for and against this measure, and that the effects of money being equated to free speech are being felt. There are some questions not asked and not answered in the voter’s pamphlet. The first question is why must we vote on this? The Oregon State Legislature was elected to make a budget and justify it. They have a remarkable breadth of resources, experts in every field, to guide them in shaping the form of revenue versus expense. As a retired guy in Keizer I don’t have any confidence that I can possibly make a two year projection on how the state economy will develop. Even their own budget gurus cautioned that their forecast is iffy, very much dependent on economic events and trends that can’t be foreseen. The dire figures quoted with such repetition in campaign flyers are only guesses, worst case scenarios. Another question left unanswered is why would Comcast, Walmart, Farmers Insurance, Johnson and Johnson, Wells Fargo, and a host of other mega-corporations be pouring millions into advertising to defeat this measure if they could simply pass through the costs of this measure to Oregon consumers. They could, but they don’t. Cable TV and toothpaste cost the same in Keizer as they do in Amarillo. If this measure increasing corporate tax rates actually does raise the cost of life in Oregon then we could ask if the thirty-some year trend of reducing corporate tax rates in Oregon resulted in a corresponding reduction in the cost of goods and services here. I don’t think I noticed that. Our corporate tax rate has shrunk from 18.5 percent down to the current 6.7 percent as a share of the total. The same shifting of tax burden holds true for property taxes. Corporate share is down, homeowners’ share is up. Again there was no expensive initiative campaign to protest this. It’s a one way street. Oregon consumers foot the bill regardless of corporate tax increase or decrease. Since I can’t vote maybe, I’ll vote yes. I do wish they’d aimed for a smaller increase and found a way to exempt smaller Oregon-based businesses. If the Oregon Legislature is handed three billion dollars a year they may feel compelled to spend every cent rather than save any. Failure of this measure would leave them to magically solve some substantial budget shortfall problems. Their history of overcoming inertia and partisan differences with bold legislation doesn’t bode well. The timing is horrible. Having just received our property tax bills we are reluctant to support anything that might cost us more. I can only hope that our legislators are not so different from us and will take seriously using this new revenue for maximum benefit to those who need it most. I wouldn’t begrudge that at all. It’s so good to be a Keizerite! As I write this, I’ve just found out what you have no doubt already discovered, that we have a Winco/Waremart grocery store coming to Keizer! I couldn’t be more excited. This town has proved over and over that it can support more than one grocery store and I know this new one will be welcomed with open arms. I am certain that this will also help the existing Safeway store in many ways as competition makes business grow and offer more choices. Also, as I write this, we are two weeks away from the 2016 General Election. As always, I urge you to make sure to vote. I am not going to ask you to vote for me or anyone else in particular as this forum is really to inform you of the things I encounter as your state representative, not to convince you to vote for me. I just want you to vote! From the top of the ticket in this very strange and contentious presidential race to the furthest down the ballot you go, all of these positions and ballot measures are so very important – and you have a vote, a vote that means an awful lot. Most of us know a veteran of some sort from some branch, some of them were wartime veterans and others were peacetime but all served and all sacrificed something to give to us the freedoms that we hold so dear. Voting is not just a right or privilege, it is a duty. One that no one should take lightly. In Oregon we’ve made it pretty darn easy, with the mail in ballot. Though I like to wait to fill mine out on Election Day, I urge you to not let it sit on the table or kitchen counter too long. 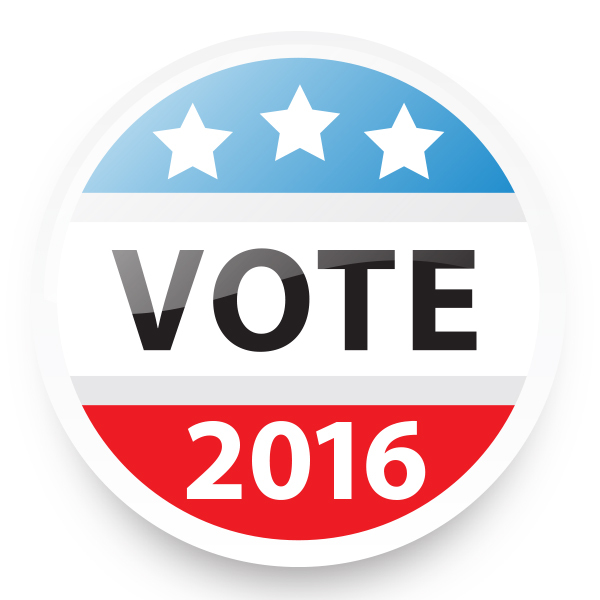 Study the Voter’s Pamphlet or other guides that are out there and then fill out that ballot. This republic called the United States of America and this great state called Oregon needs every one of us to be involved. To all of the candidates I wish all the best and may God Bless America and Oregon! Bill Post Represents Oregon’s House District 25. WASHINGTON — The lies and distortions that Donald Trump’s campaign messengers deploy to rationalize their candidate’s outrageousness are more typical of the last couple of decades of our politics than we’d like to admit. Especially revealing and infuriating are the efforts to use Al Gore as a human shield against the public indignation Trump aroused by refusing to say whether he would accept the verdict of a democratic election. To compare what Gore did in the aftermath of the contested 2000 election with what Trump is doing now is like analogizing a fire marshal investigating the causes of a blaze to an arsonist. But first, the larger lesson. As Trump has plummeted in the polls, more conventional Republicans who thought they could get away with supporting him have tried to pretend that Trump and his message were foisted on them from some distant planet. E.J. Dionne’s email address is [email protected] Twitter: @EJDionne. McNary finished the season 13-14 after losing to Sunset in the first round of the OSAA state playoffs. Three of the top 12 teams in the state, West Salem, South Salem and Sprague, came out of the Greater Valley Conference. The Lady Apollos ended McNary’s season on Wednesday, Oct. 26, defeating the Lady Celts 3-1 in the first round of the OSAA state playoffs. The Lady Apollos, led by college-bound seniors Emily DeMots and Rachel Santos as well as sophomore Sophie Summers, who played on the U.S.A. Youth National Team during the summer, went 17-7 during the regular season and finished second in the loaded Metro League, which was won by No.1-ranked Jesuit. The Lady Appollos took the first set 25-19. But the Lady Celts rebounded to win the second game 25-23. “We served them very assertively and we got them out of system,” Myers said. Sunset won the third and fourth sets 25-15 and 25-20 to move on in the state tournament. Senior outside hitter Sydney Hunter led the McNary attack with 19 kills. She also had three digs and three blocks. Valerie Diede had six kills and two blocks. Shaylee Williams added six kills and Samantha Van Voorhis had 33 assists. The Lady Celts finished 13-14 in Myers first season as head coach.